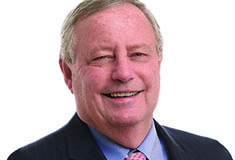 New York, NY The New York Real Estate Journal recently sat down with Michael Carroll, CEO at ShopOne Centers REIT for a question and answer session. Q: Tell us about what you do and about your new company. A: ShopOne Centers REIT is focused on acquiring, operating and managing market dominant grocery-anchored shopping centers. We are building out a best-in-class operating platform and systems. 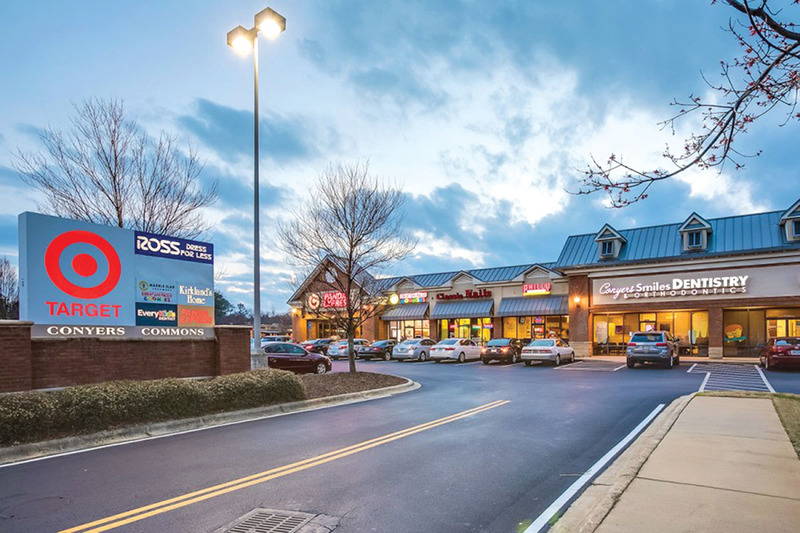 ShopOne is purchasing well-located shopping centers in densely populated markets. Our goal is to build an institutional caliber company with high quality assets. 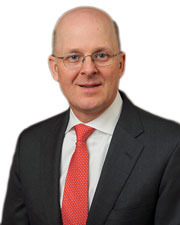 We have a great team in place and we have attracted a very talented CFO in John Roche to join the company. His experience at Retail Opportunity Investment Corp. (ROIC) has been instrumental in helping build out our systems and infrastructure. Q: Can you tell us about some of your biggest wins throughout the years in real estate? A: I have been fortunate to be involved in several successful transactions over the years. By far, the most personally rewarding was the restructuring of Centro Properties Group. The process involved lenders all over the world and $9.2 billion of debt in the most complicated structure in real estate. Ultimately, the process concluded with every lender getting paid back at par and the assets being sold to Blackstone. The deal was one of the defining moments of the financial crisis and the beginning of the recovery. As I look back, I am most proud that during the darkest hours of the crisis I was able to hold the 600 employee plus platform together and keep everyone employed during that challenging period. My next big opportunity was to lead that same company under Blackstone’s ownership. It was a great experience working with the people at Blackstone. During that period, we had access to their capital and were playing offense. We invested over $500 million of capital into leasing and redevelopment and really helped the company recover from the lack of capital investment during the downturn. The company also did several bolt-on acquisitions during that period. In about 30 months, we took a company from the depths of the financial crisis to becoming the largest shopping center IPO in history. Q: What are the biggest challenges of starting a REIT in today’s market? A: The biggest challenge today is overcoming the media narrative. 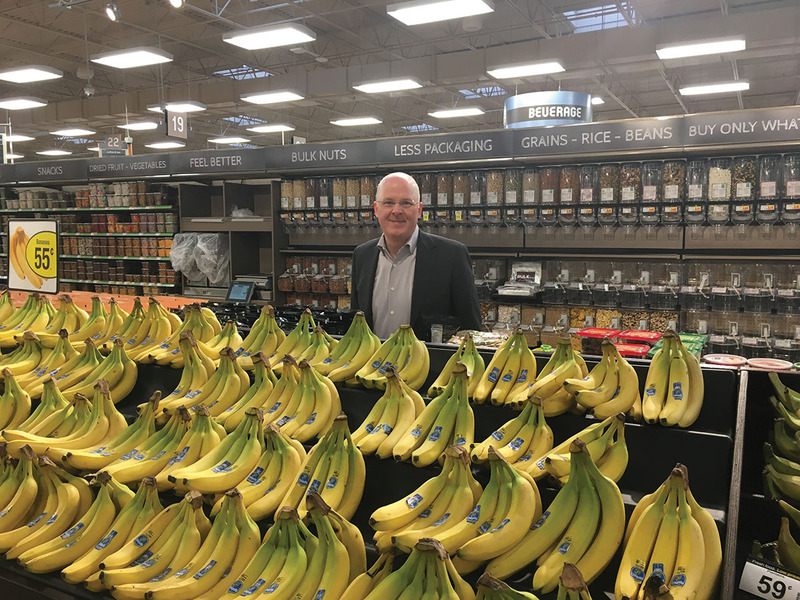 The old adage of “everyone needs to eat” rings true for grocery anchored centers. Unlike other companies, we have access to capital and debt and our goal is to acquire assets by taking advantage of the dislocation in the market. Open air centers are the most flexible and resilient form of retail real restate. The properties are essentially well-located industrial buildings with good parking and a nice façade. It can accommodate all types of uses from grocery to off-price retail and every use in between, inducing fitness, personal services, restaurants, education, medical and distribution. The flexibility and convenience associated with our properties is the biggest selling point for the asset class. As specific to ShopOne, our goal is to be the best operators that we can be. It is really the platform that drives the most appeal to the investment community. Anyone can acquire assets, the ability to operate those assets and create value is where you can create an investment vehicle. The downturn was filled with companies that failed because they only could acquire properties, the companies that were strong operators were able to survive and prosper. 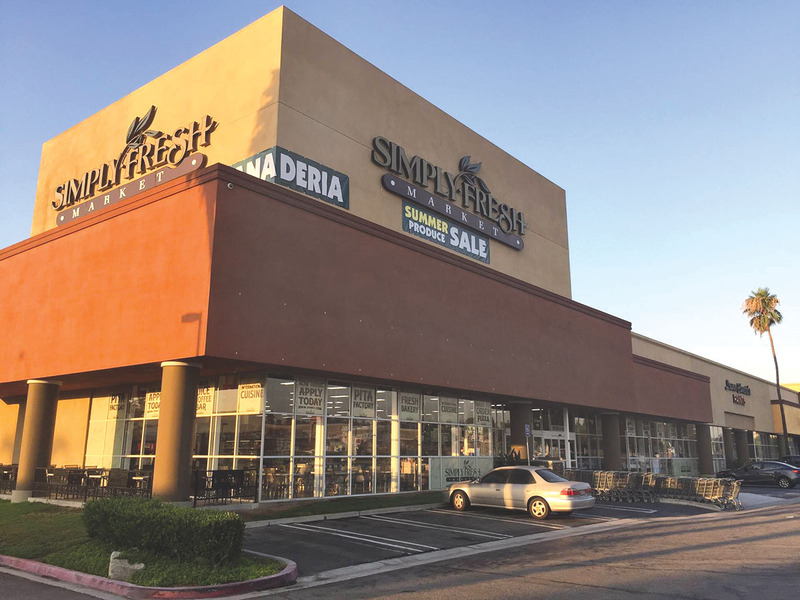 Q: What trends are you seeing with respect to grocery-anchored centers? A: The grocery business continues to be extremely competitive, putting a premium on selecting the right real estate and grocery anchors that are strong competitors which serve a defined customer. Pricing for the gateway markets with the top operators remains very strong. We have been able to find opportunities through our ability to source deals through multiple channels, which is really our competitive advantage. As it relates to the grocery sector, the biggest trend that we see is the segmentation of the customers and concepts targeting those segments. We see grocers trying to target price sensitive customers with quality offerings at highly discounted prices. These price impact concepts are doing very well in higher income demographic areas where consumers are impressed by the quality and the value proposition. We also see the Farmers Market and organic store concepts gaining traction with consumers and they are surprisingly priced very competitively. This segmentation is making life difficult for the traditional grocers and it has spurred contraction and consolidation in that section of the market. Q: What’s next for ShopOne? Do you envision expanding the business model outside of grocery-anchored properties? A: We will continue to be focused on this segment of retail real estate. It is a market that we know very well and we believe in the “everyone needs to eat” premise. There are over 50,000 shopping centers in the U.S. today and less that 15% of those are held by the public REITs. It leaves plenty of room for a company like ours to continue sourcing suitable assets to acquire and continue to experience growth while focusing on being a pure play company. A big piece of our business is focused on redeveloping assets. We have several planned redevelopment projects in our existing portfolio and it is a big part of what we look for in our acquisition program. Our ability to redevelop and reposition assets is the defining element of our platform. It is our value proposition that really differentiates us from our peers. Because of this redevelopment, we can acquire assets that others can’t and that is all because of our experience and ability to execute on these projects. A: I started in the business as a leasing person. I am still involved in leasing today and I really enjoy interacting with the retailers. Retailers are constantly evolving and reassessing their strategies on a regular basis. I have always enjoyed trying to understand the go-to-market strategies of retailers. They have a great ability to understand trends. They also have the benefit a lot of point of sale data. I am always impressed how they harness the trends and data and apply it to merchandising and/or the customer experience. Often the manifestation of the data and trends is apparent in new store prototypes and real estate decisions. As I tell our team, it is important to spend time with our retailers as we can learn a lot from them that will ultimately help our business and our own professional development. Q: What is your advice to someone new entering this business? A: Whatever position you have, always look for opportunities to do more. This is a business where there is a lot of data and information and the person who is able to understand the information to acquire knowledge usually wins. One big piece of advice, no matter what your position, is take the time to visit the properties. Nothing can substitute for having actually seen how a property sits in the marketplace. Q: On a personal note, are there any extracurricular activities you enjoy? A: I really don’t have any hobbies. I do have two teenagers at home who have full schedules of extracurricular activities and athletics. In any given week, I could be at my daughter’s play, a cappella group performance, a field hockey or lacrosse game; or at my son’s basketball, hockey, soccer or lacrosse game. I get a lot of joy from it all. With a busy work schedule, it doesn’t leave much time for anything else and I wouldn’t want it any other way!